Charles Featherstun joined the law firm of Kitchens New Cleghorn, LLC as Of Counsel in February of 2016. He is an experienced corporate attorney formerly working for companies including BellSouth Corp, Bell Communications Research, Inc. (BellCore). 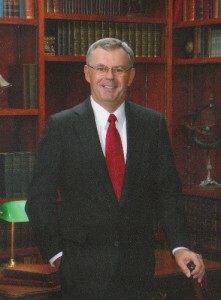 Most recently he was Vice President and General Counsel of Cypress Communications. Mr. Featherstun specializes in Domestic & International Business matters, Legislative & Regulatory matters, FCC Proceedings & Compliance, M&A, Federal & State Commission matters and contract issues.